Teradata (NYSE: TDC), a leading analytics solutions company, today announced the election of Timothy Chou and Dan Fishback to its board of directors, effective today. The new appointments expand the board from nine to eleven directors and bring new technological and business growth expertise. Timothy Chou began his career at one of the original Kleiner-Perkins startups, Tandem Computers. He has had a long commercial career in enterprise software culminating in his role as President, Oracle On Demand. He has served on public company boards since 2000, including Blackbaud, Inc. and Embarcadero Technologies, Inc. In addition to his commercial career, he has also been a lecturer at Stanford University since 1982 and, ten years ago created the first class on cloud computing. While at Oracle, he authored his first landmark book, The End of Software, which foretold the rise of SaaS applications. More recently he launched a new book, Precision: Principles, Practices and Solutions for the Internet of Things. 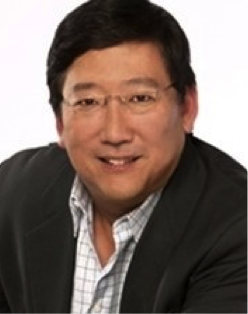 Dr. Chou joins the Teradata board as a Class II director. Dan Fishback is a well-regarded executive in Silicon Valley with an extensive background in guiding technology companies that specialize in applying analytics to solve complex business problems. He currently serves on the boards of several technology companies. As CEO of DemandTec, Fishback introduced a ground-breaking analytical cloud solution for retail and consumer product organizations, adopted by many global Fortune 500 businesses. 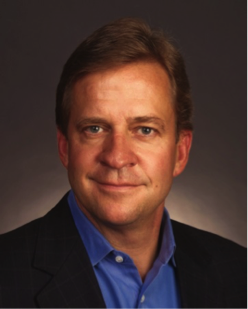 Prior to leading DemandTec, he held sales and executive leadership positions at Ariba, Trading Dynamics, Hyperion Software, Arbor Software and Unisys. He is also an advisor and consultant to a number of companies and CEOs. Mr. Fishback joins the Teradata board as a Class I director. The new directors were selected following a comprehensive search conducted by the board. "We are pleased to welcome Timothy Chou and Dan Fishback to our board," said James Ringler, chairman, Teradata Corporation. “Tim well understands business transformation in the context of cloud solutions that embrace new consumption models and enable services delivery. Dan has strong software experience as well as on-premises and SaaS experience in relevant areas, notably business analytics. They both have held leadership roles in multiple businesses. We know they will be great assets to the board and we look forward to their contributions." The new board members join Teradata at a time when the company is reshaping its business to deliver greater value to customers and shareholders by providing more flexible purchasing and deployment options, such as subscription and cloud-based alternatives. Teradata has recently advanced its business analytic solutions, ecosystem architecture consulting, and hybrid cloud offerings with industry-first initiatives like Teradata Everywhere™ and Borderless Analytics, which exemplify the new Teradata. To view biographies for Teradata’s Board of Directors, click here.